The pilot of the crashed plane carrying footballer Emiliano Sala dropped out of training for his commercial pilot's licence before it was completed. David Ibbotson, who has still not been found, was not licensed to carry paying passengers, which has fuelled speculation the flight was illegal. Cardiff City striker Sala's body was found in the wreckage just off Guernsey on 4 February. Mr Ibbotson's pilots licence and logbook were lost in the crash. 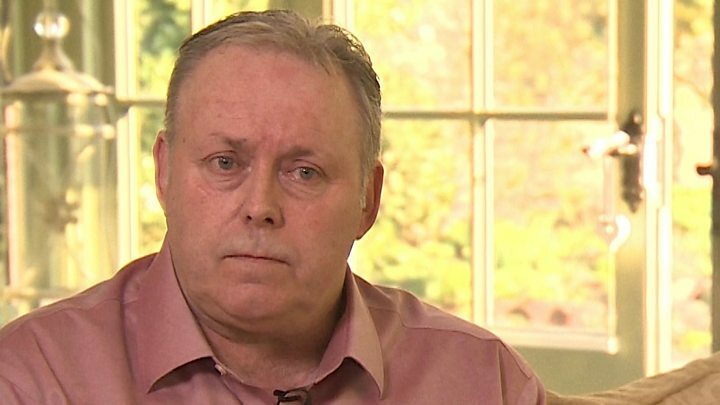 An interim report by the Air Accidents Investigation Branch (AAIB) on Monday said Mr Ibbotson, 59, from Crowle, North Lincolnshire, held a private licence in the UK and the US, meaning he could not carry paying passengers within the EU, other than on a cost-sharing basis and not for reward. The report added further investigation is needed to discover his background and experience as a pilot. The light aircraft disappeared on 21 January and Sala had completed his transfer to Premier League side Cardiff from French club Nantes just two days earlier - for a club record fee of £15m. He had returned to France to say goodbye to his former teammates. In their interim report, the AAIB stated that, on the basis of a cost-sharing flight, "it must not be made for the purpose of merely transporting the passenger". For it to be classed as cost-sharing, pilot David Ibbotson would have had to have been making the journey regardless, dictating to Sala when the plane was leaving and sharing the cost of the flight equally with him. Agent Willie McKay, who commissioned the flight for Sala, said the flight from Nantes to Cardiff was not a cost-sharing arrangement. He said "Emi wasn't paying anything" and that he was going to pay "whatever Dave [Henderson] was going to charge". Mr McKay said David Henderson was the pilot he used most frequently to arrange his flights. It is thought Mr Henderson was not available for the Sala flight, so he asked Mr Ibbotson to do the job. Payment would usually be made after a flight due to the varying amounts paid for landing fees at different airports. "He said he couldn't do it himself but he was going to get someone. I trusted David, I had no reason not to," said Mr McKay. "When you phone for a taxi you don't ask him if he has a driving licence. I was just thinking about getting the boy home which he wanted and we were happy with what we did. "I've been told on good authority he was a very good pilot so for people to vilify the pilot after a man's death is a disgrace. I don't hold anyone responsible because it's just a tragic accident." Mr McKay's son Mark, agent to Nantes FC, who was also involved in organising and paying for flights for Mr Sala, said: "I don't see how I would have done anything any differently. I've taken many flights - small aircraft, different types of aircraft, different pilots. "I look at the situation that came about and if it was me, I'd have taken that flight and I think a lot of people would have taken that flight and not asked anything." Mr Henderson has not responded to several approaches from the BBC for comment. 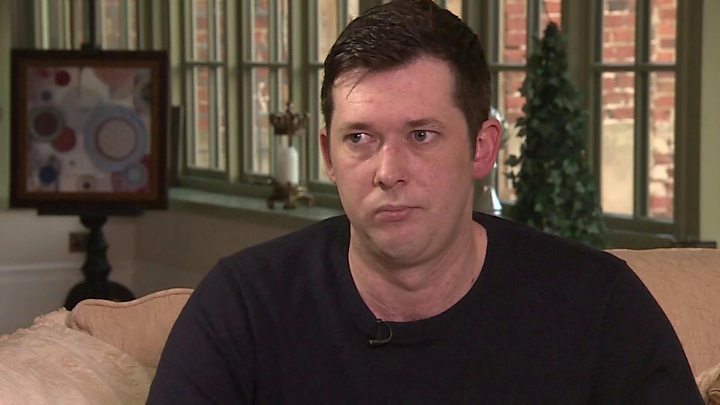 Mr Ibbotson studied for a commercial pilot's licence (CPL) qualification from December 2012 until July 2014 through Cranfield Aviation Training School near Milton Keynes, but dropped out of the course without qualifying after failing to complete his theoretical training. Dr Stuart E Smith, head of training for the school, said: "It is common for middle-aged private pilots to undertake the CPL theoretical knowledge course so that they may then complete CPL flight training and be able to earn money as a pilot or flight instructor." He said Mr Ibbotson got in touch in 2016 with the intention of resuming his training, but never followed it further. He added that he had sent a report to the Civil Aviation Authority (CAA) soon after the tragedy. Investigations will continue to analyse air traffic communications and radar for clues, while other lines of enquiry will investigate how gas boiler engineer and part-time DJ Mr Ibbotson came to be flying a £15m footballer back to his new club. The Piper Malibu was registered in the US, whose rules stipulate the use of aircraft commercially outside of the country must be approved by the CAA and Federal Aviation Administration. No permission was sought or granted by the owners of the plane before Sala's flight. Martin Robinson, chief executive of the Aircraft Owners and Pilots Association, said it was concerned about the use of so-called grey charters, which are unlicensed flights and the use of foreign-registered planes for air taxi work, since the incident. "UK air charter companies pay a lot of money to the government for air operator certificates, without which they can't run commercial air taxi operations," said Mr Robinson. "They know they're being undercut by competitors who in some cases are not fully compliant with the law. "It's the responsibility of the person who organised the flight to have a suitably qualified pilot at the controls and to ensure the pilot had sufficient flying experience for this kind of flight and for the weather conditions that may be encountered. "Mr Sala would have had no knowledge of David Ibbotson's licence but the person organising it should have known about that. "They've let this man down." The search for Mr Ibbotson's body resumed last week, but no trace was found. 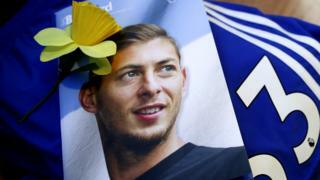 Emiliano Sala: Who owned the plane the Cardiff player died in? Is 'selling' a baby ever OK?